Living systems collect and process information related to the environment in order to exert an appropriate response (movement, state change, etc.). 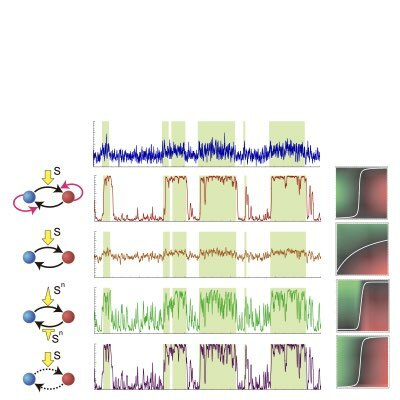 However, However, it remains unclear as to how a living system recognizes and processes information with stochastic and noisy microscopic molecular components. To clarify the mechanism, we are working on construction of a mathematical theory of dynamic environmental recognition/searching, and information-thermodynamics of cellular information processing. Sensing the environment through noisy receptors inevitably impairs the information transferred into a cell. 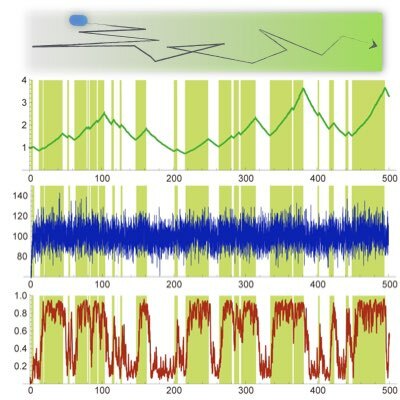 Nonetheless, in some cases, a cell can still respond quite faithfully to a dynamic change in the environmental state, which suggests that the cell is able to extract relevant information of the environment from a noisy signal. 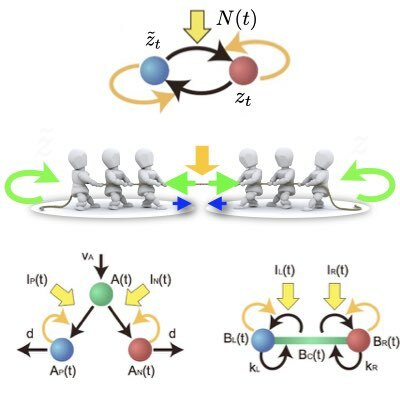 Using the theory for sequential Bayesian inference, we have derived the optimal dynamical network to decode a dichotomous change in the environment from a noisy receptor output, which can be implemented by an auto-regulatory phosphorylation and dephosphorylation cycle (Learn more: , ). 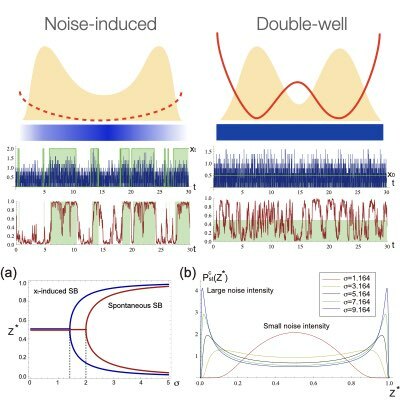 The fundamental dynamical property for implementing Bayesian decoding from a noisy signal has been demonstrated to reflect a reinforced tug-of-war between two alternative hypotheses (the environmental state is either on or off) that is biased by the noisy signal. By exploiting this interpretation, we have shown that the Bayesian decoding can be implemented by networks other than the auto-regulatory cycle, such as auto-regulatory branching differentiation and polarization(Learn more: , ). Actual environmental changes are not only dichotomous but have further layers of complexity. By extending the approach of sequential Bayesian computation, we derived several relaction networks relevant to the chemotaxis of bacteria and amoebic cells, in which both temporal and spatial sensing of the environmental state coexist. Recent requirements for down-sizing and low-operational energy of modern computer architectures highlight the importance of implementing robust computational systems that can operate under quite noisy situations. 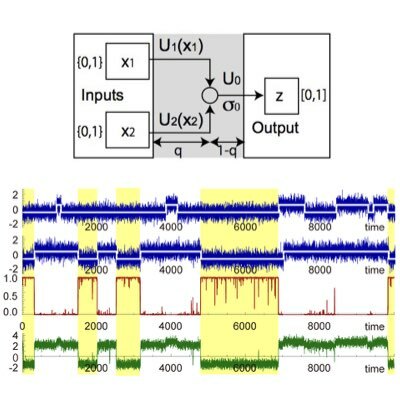 Motivated by the works conducted on noisy information processing by cells, we proposed an idea for implementing noise-immune logical operations by the Bayesian computation at the level of physical implementation of the logic gates. Our work suggests the importance of adopting Bayesian logic not only at the higher layers of computation, but also at the lower layers (Learn more).